the long three-day weekend was wonderful. we thoroughly enjoyed being able to sleep in, spend some time with our families, and relax around the house with leko. it was really hard to convince myself that i actually had to go to work this morning. we had no where to be on sunday morning. after we finally got ourselves out of bed, we headed downstairs for a lazy and slow sunday morning breakfast in our pajamas. cold january weekend mornings call for a warm comforting breakfast. these waffles were the perfect thing. oat flour gives them a great texture, buttermilk gives them a great flavor, and the chai spices make them so delicious. they are so easy to whip up and they make the whole house smell wonderful as they are cooking too! preheat your waffle iron according to the manufacturer's instructions. grind oats in a food processor until very fine. in a large bowl, combine the oat flour, all-purpose flour, baking powder, brown sugar, and spices. stir to combine. add the milk, egg, and vanilla. whisk well. stir in the melted butter. 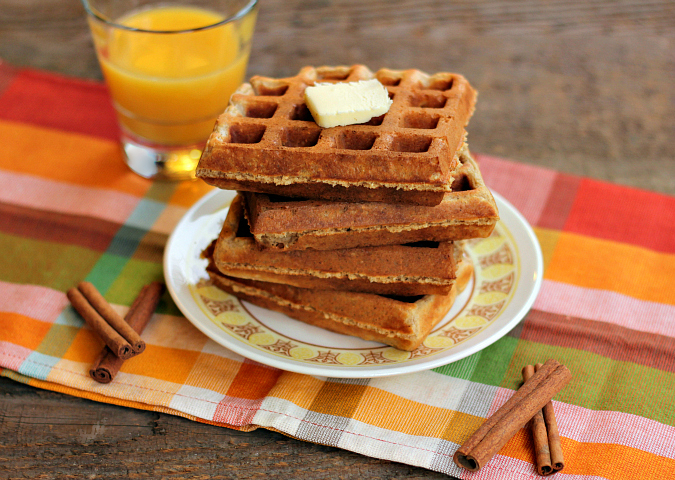 pour enough batter into the waffle iron to just barely cover the waffle grid. cook 4-5 minutes, or until the waffles are golden brown. 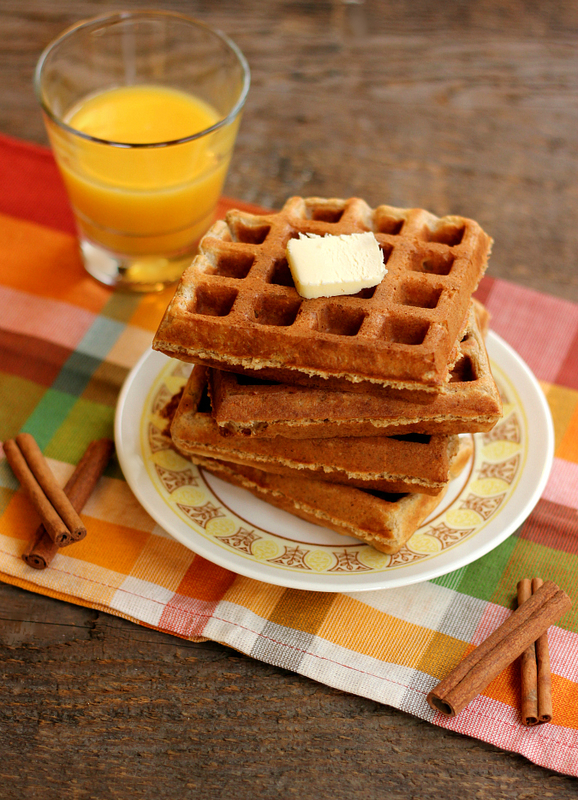 once cooked, transfer the waffles to a cooling rack while you prepare the remaining waffles. serve warm, topped with warm maple syrup. Sound delicious. Your waffle maker creates such perfect looking pancakes. oh wow, these sound tooooo good!! 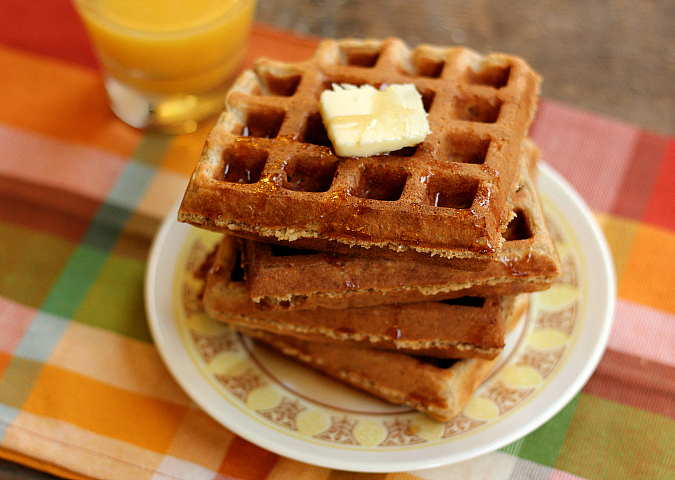 i love waffles every once in a while as a fun breakfast treat. chai sounds like SUCH a good flavor to go with this.